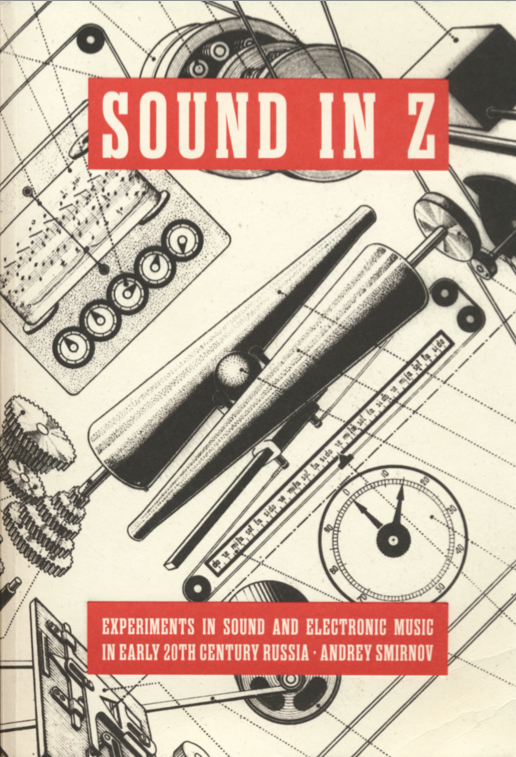 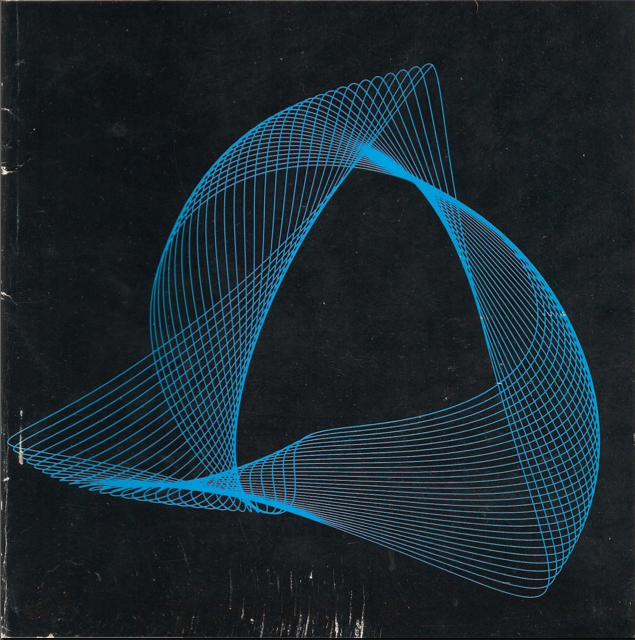 Sound in Z supplies the astounding and long-lost chapter in the early story of electronic music: the Soviet experiment, a chapter that runs from 1917 to the late 1930s. 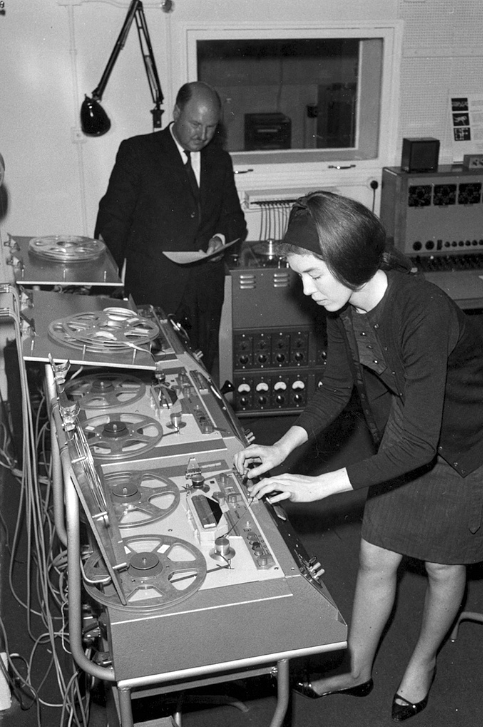 The BBC Radiophonic Workshop, one of the sound effects units of the BBC, was created in 1958 to produce effects and new music for radio, and was closed in March 1998. 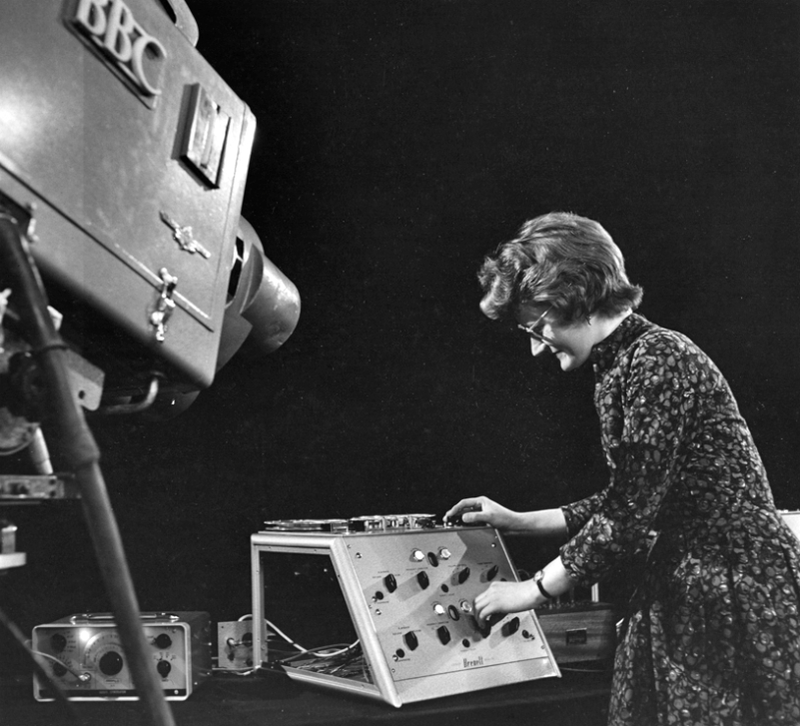 Daphne Oram was a true pioneer of electronic music and this great gallery of photographs gives some great insight into the work being done at BBC. 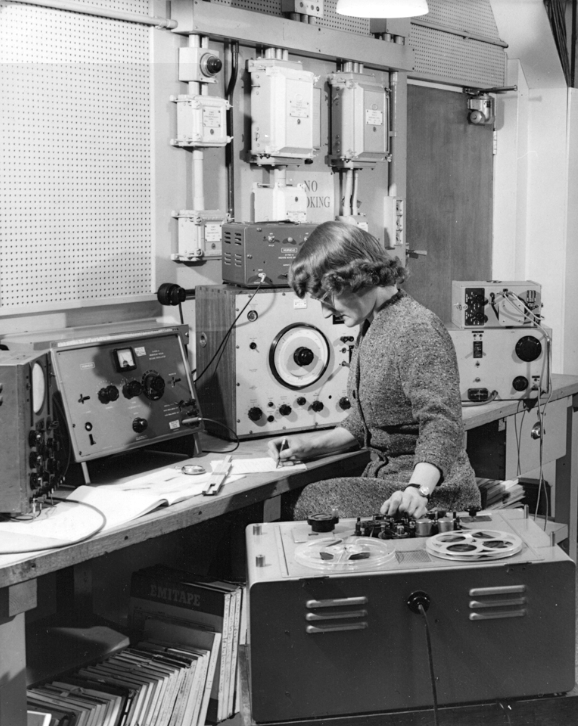 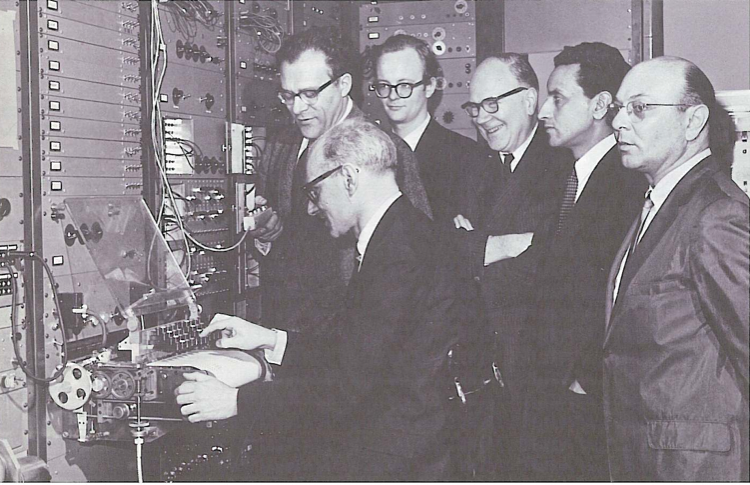 Daphne Oram at the north-west end of Room 13. 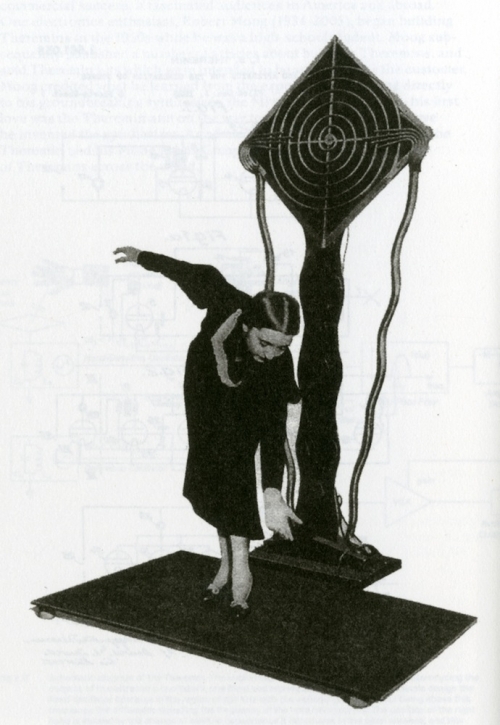 Room 12. 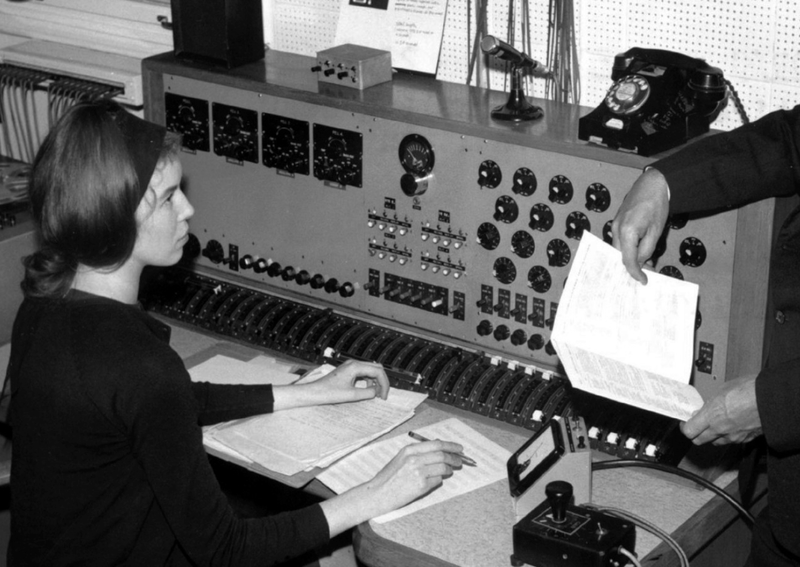 Delia edits a tape as Desmond stands in front of the Leevers-Rich 8-track and reads the script. 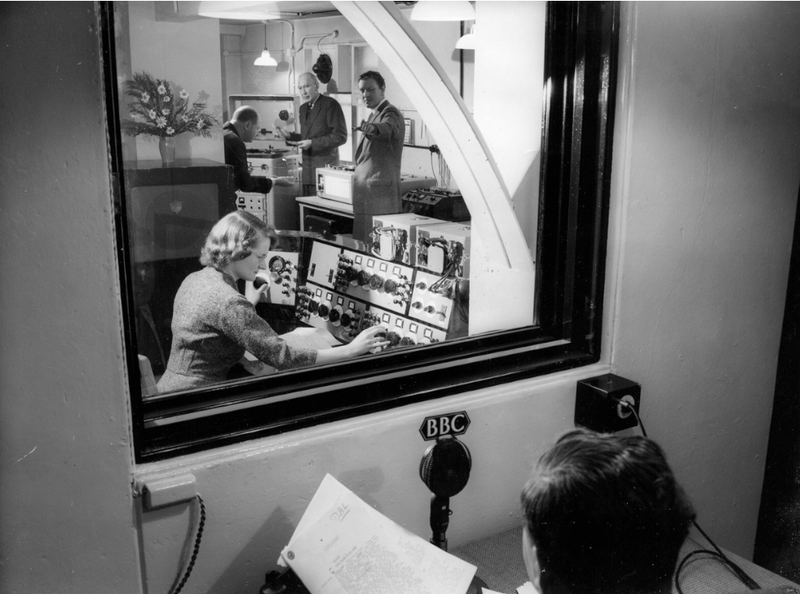 Delia at the controls of the desk in Room 12. 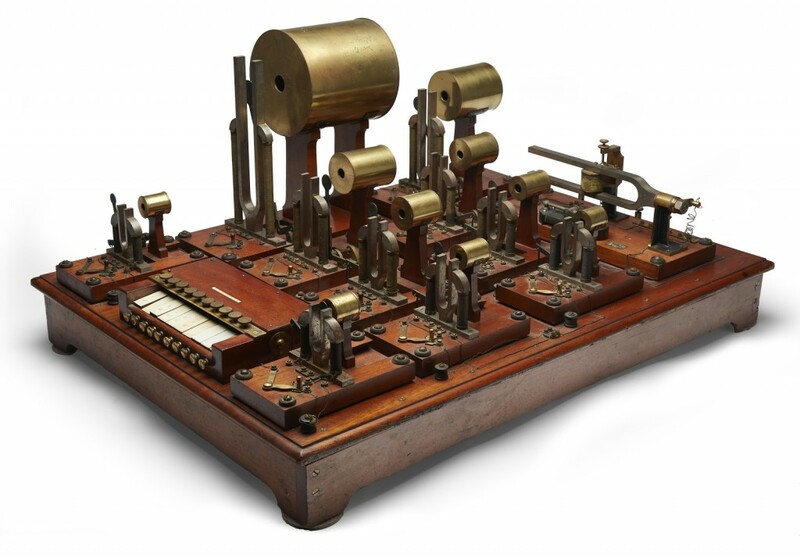 The rotary control to the extreme bottom right is a ‘Glowpot’ gain control. 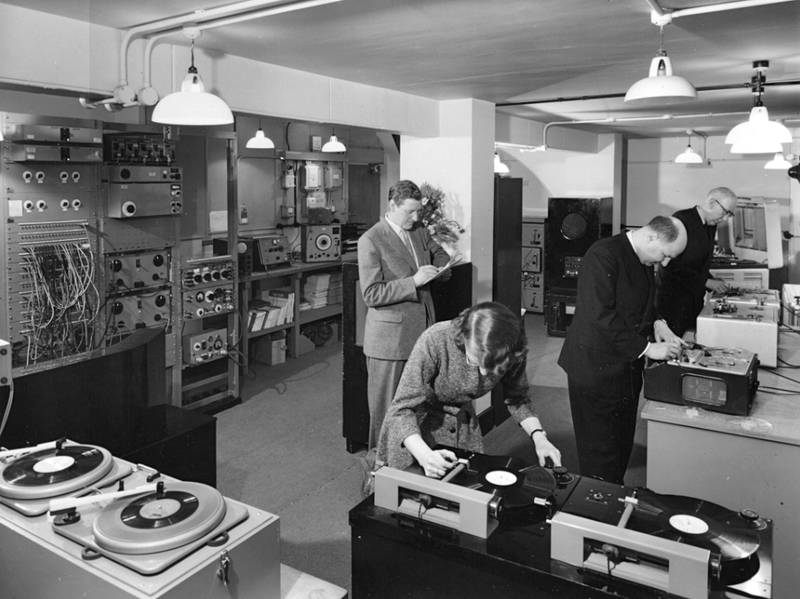 Room 13 in 1958. 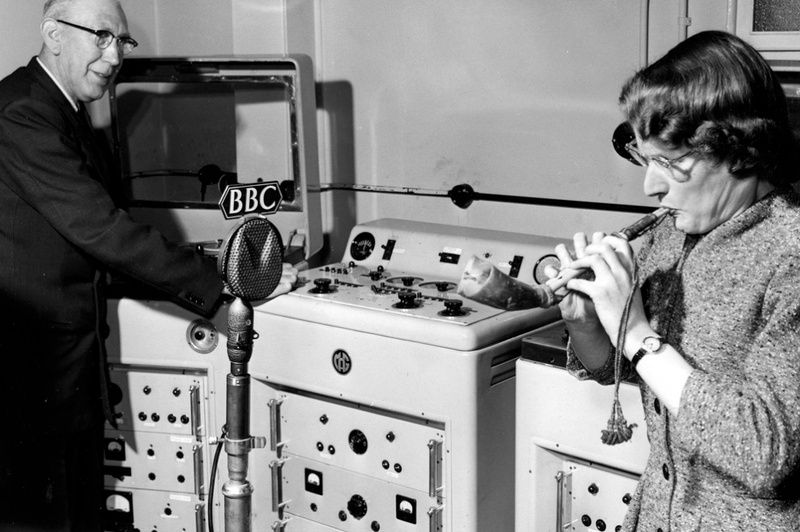 Daphne Oram plays the Mijwiz, an Arabic twin-reeded double shepherd’s pipe. 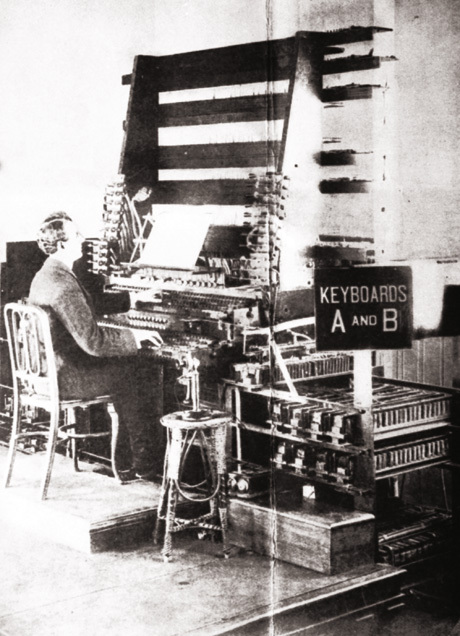 An early view looking north through Rooms 14 and 13. 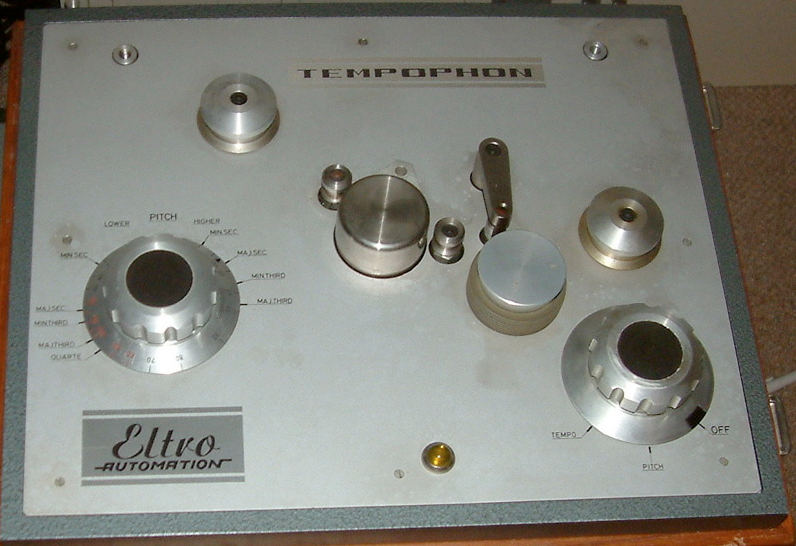 A Tempophon, similar to the one used at the Workshop. 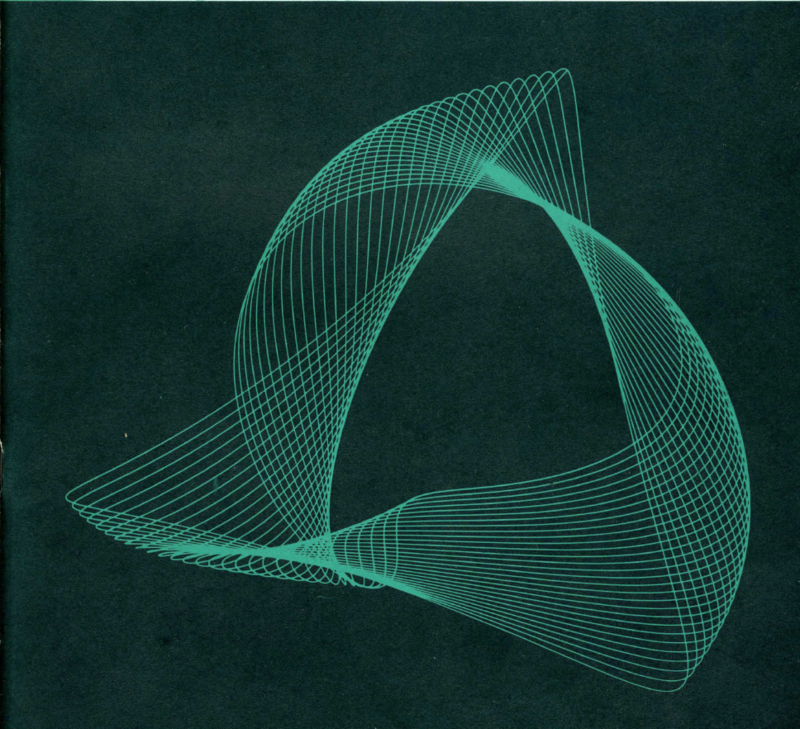 The drum at the centre contains the rotating heads. 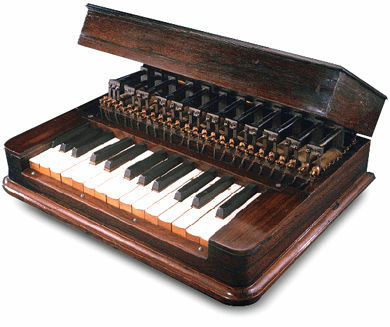 The pitch control is marked in musical intervals. 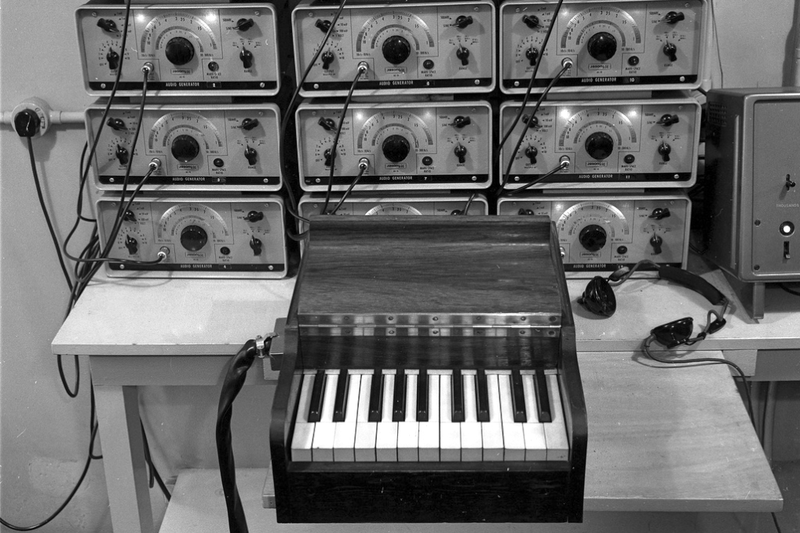 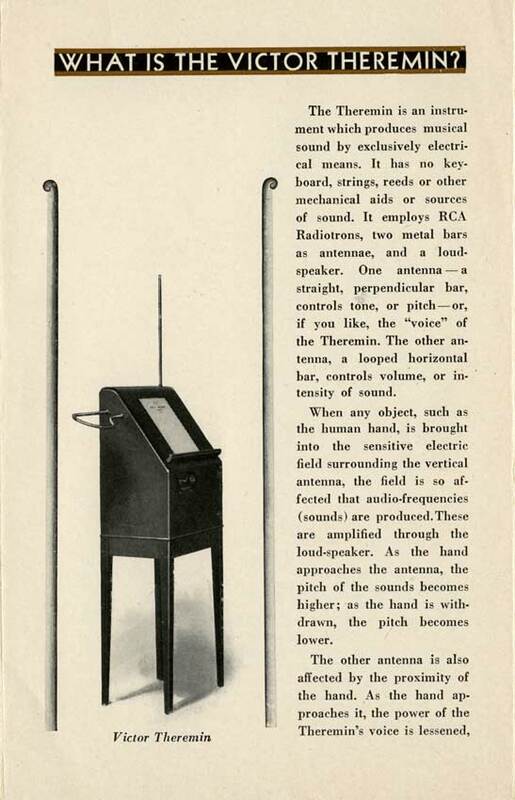 One of the prototype keying units and its oscillators in 1962.